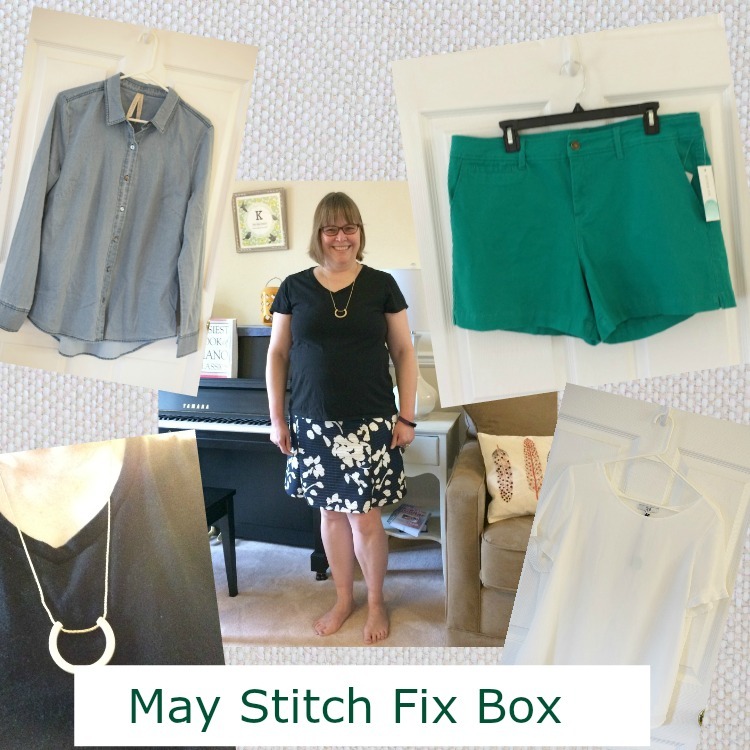 Just yesterday I received my May Stitch Fix box. I was excited to open it! 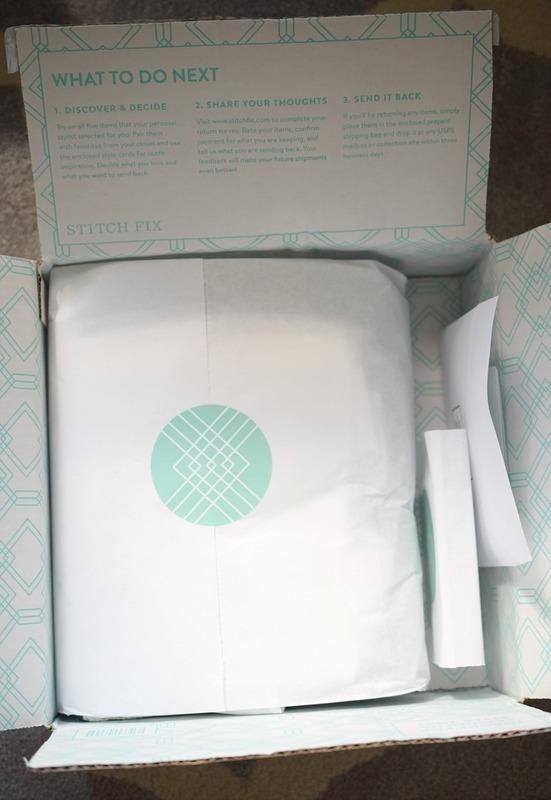 I had ordered an April Stitch Fix box, but upon returning everything in my box, Stitch Fix offered to waive the styling fee for a new box. (The fee is $20, and is waived if you purchase an item from the box). 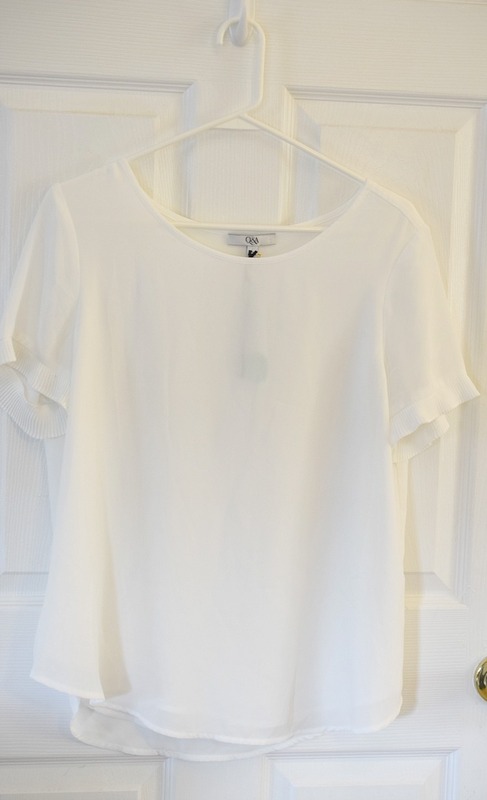 So I decided to give Stitch Fix another go! 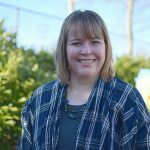 I loved everything in my first Stitch Fix Box in November 2015, so I was hoping I’d be happy with my new Stitch Fix box. 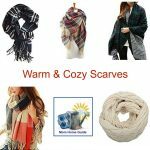 Stitch Fix is a great service for non shoppers like me. You fill out a profile and describe your fashion needs and likes, and they send you a box filled with 5 items (either clothing or fashion accessories). 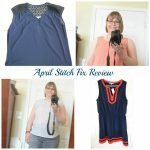 When I checked out my April box online (when you decide to buy or return your Stitch Fix items, you are asked to describe why in your Stitch Fix profile), I was very descriptive about why none of the Stitch Fix items suited me. So, Stitch Fix assigned me a new stylist, and I emailed her a very detailed email about what I was hoping for in my next box. Specifically, I was hoping for clothing to wear on my family’s upcoming Walt Disney World trip in July, and something nice to wear to my twin daughters’ middle school graduation. Upon opening my box, it was obvious that my stylist tried very hard to suit my needs. Everything looked great! 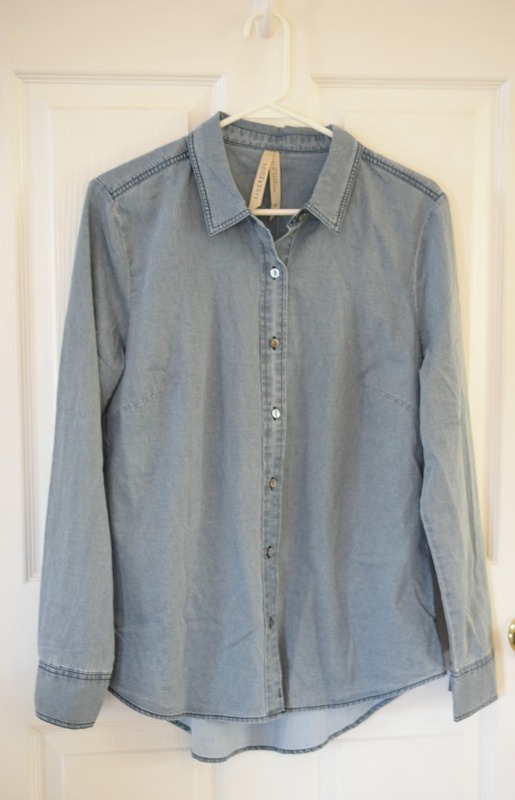 I was most excited about the Lollie Chambray Top (by Liverpool, $68) that I received. 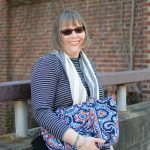 I thought it looked both stylish and comfortable — although I didn’t think it would work for my Disney trip this summer or my kids’ graduation ceremony. But sadly, when I put the top on, it didn’t fit. I gained some weight over the winter, and sadly, I gained more weight than I thought! (That explains why I am sipping unsweetened herbal tea at the moment instead of my favorite, sweetened iced tea.) I’ll have to update my Stitch Fix profile for next time, unless I can shed the extra pounds. Verdict: Return. 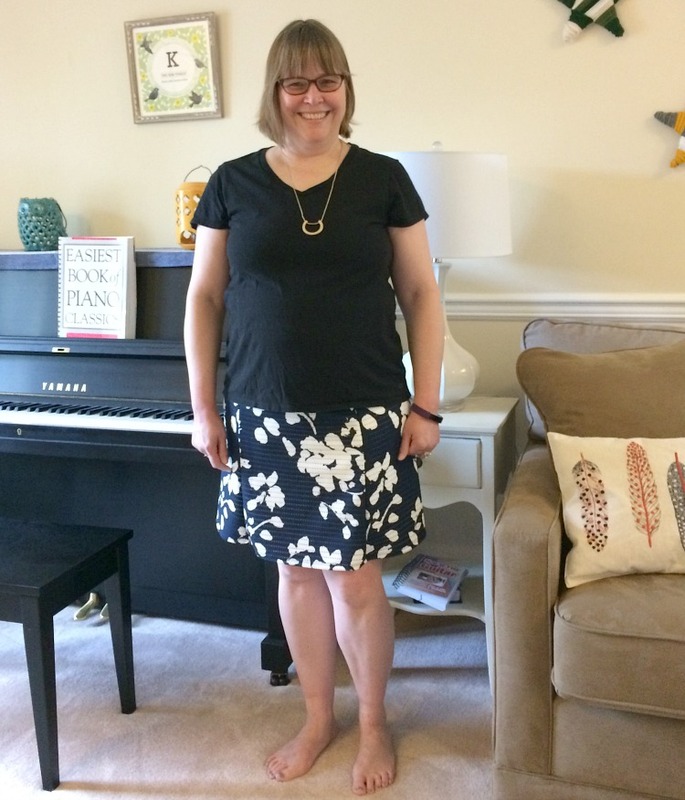 I was happy to see that my stylist included the Lidia Printed Swing Skirt (by Renee C, $64) in my box. The fabric seems like it will breathe well in hot weather, and I like the white floral pattern on the navy blue skirt. It’s a bit more than I normally pay for a separate, but it works well for me. 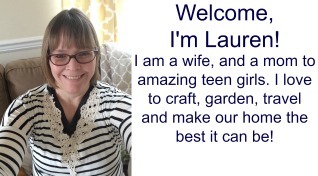 Plus, a good blogging friend of mine and my teen daughters gave it a thumbs up. Verdict: Keep. The Makena Flutter Sleeve Blouse (by Q&A, $48) would have worked perfectly with my new navy floral swing skirt, but sadly, this blouse was too tight as well. (Alas, those winter pounds.) Verdict: Return. 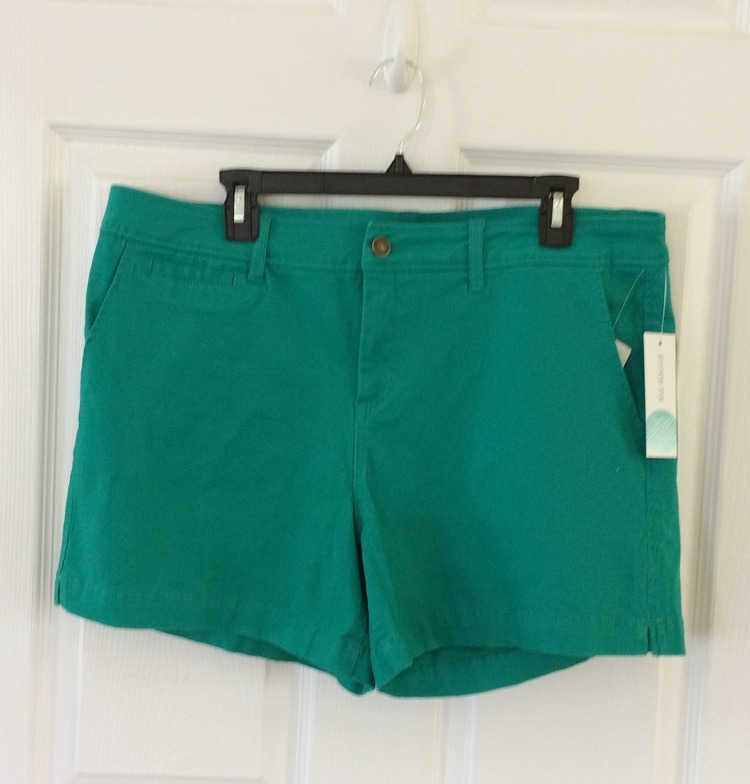 I really like the vibrant green color of the Lorraine Short ($54, by Market & Spruce). The color alone almost made me keep it. But the shorts bunched up a bit in the front and are cut shorter than I normally wear. Verdict: Return. 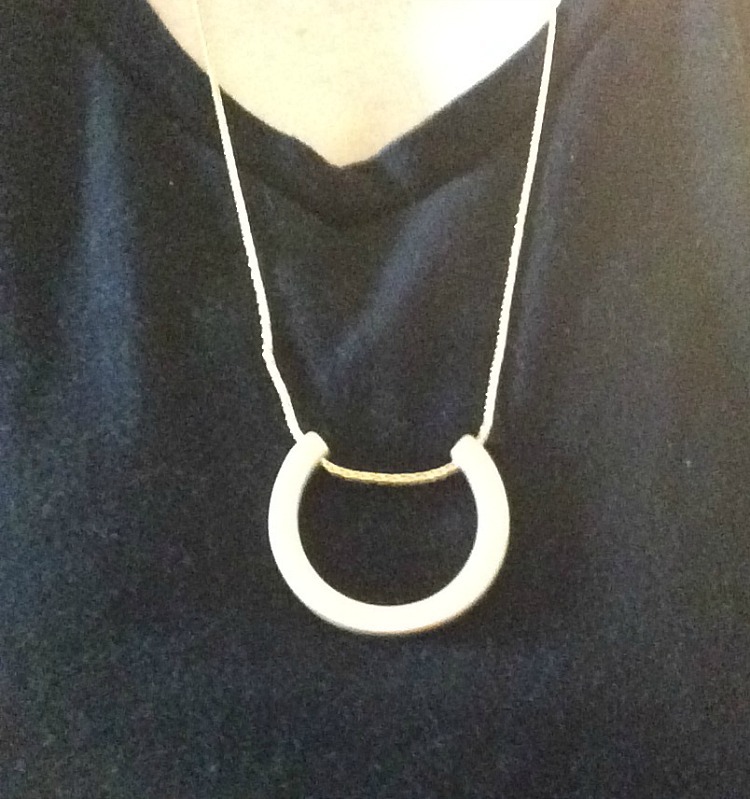 I was debating whether or not to keep the Bello Metal Half Moon Pendant ($28, by Berry Jewelry). I liked the heavy weight and the golden hue of the necklace, but not the price. I again sought the advice of my blogging friend and my daughters, who gave it a thumbs down. Verdict: Return. In all, I’m a bit disappointed that I’m keeping only one item from my May Stitch Fix box, but I’m happy with the skirt! I can easily pair it with a short sleeve blouse or t-shirt and wear it to my daughters’ eighth grade graduation ceremony, and maybe even pack it for my family’s trip to Disney. If you are interested in trying out Stitch Fix, you can use my referral number to get started. I’d be very grateful! Thanks! Well, at least you found one item you love in it. The skirt is my favorite item, too! That flutter sleeve top is adorable, but if it doesn’t fit than that doesn’t help!! 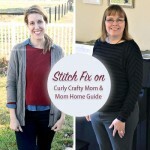 I really want to try Stitch Fix again when I have some time to get around to it! 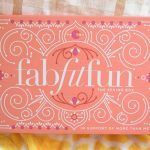 Carrie @ Curly Crafty Mom recently posted…Spring into Something New! Spring Inspired Post Collab! I love this outfit on you it looks gorgeous! They have really nice clothes. I can’t wait to show you my Stitch box reveal too ! Hi, Michelle! Can’t wait to see your Stitch Fix box reveal!